The government of Kyrgyzstan starts encouraging the use of electric cars. Preferences are expected to increase the number of this type of transportation. 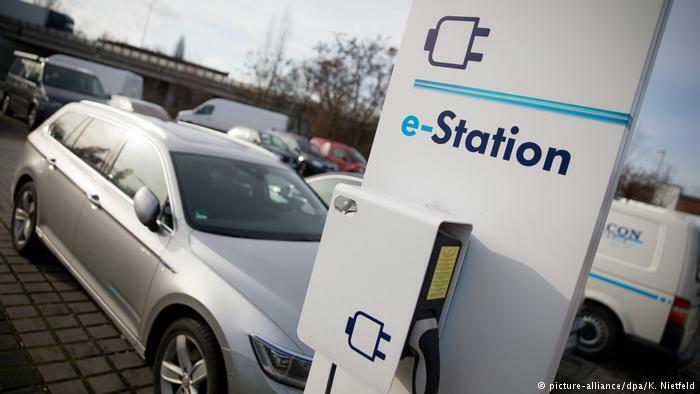 Since 2019, the country applies zero rate to the import of cars with electric motors. All you need to do if you want to drive such cars is purchase them and pay for their delivery. Moreover, the government introduces incentive rates of customs duties and taxes to vehicles with hybrid motors varying from 0.5 to 0.6 US dollars per cubic centimetre. This initiative seems timely as never before amid the environmental issue in Bishkek and the growing exhaust emission rates. — My car is made in China, I’ve bought it for 10 thousand dollars. But as the market develops, the prices of electric cars come down slowly. The same electric car can be purchased today for 6 thousand dollars. In China, petrol prices are very high – approximately 80 soms per litre. But if you have an electric car, you can forget about extra expenses, but electricity costs. By the way, a car is charged from a standard electricity outlet. Charging takes at least eight hours, but this energy is enough for a couple of days. It depends on how you drive – fast or slow. If you turn on a heater, you will have higher energy consumption. Given the Kyrgyzstan’s fuel and electricity prices, electric cars would reduce the costs. However, there are negative points, too. You won’t get far on such a car in Kyrgyzstan, only within the town. Otherwise, you’ll get stuck somewhere for a long time. Given the Kyrgyzstan’s fuel and electricity prices, electric cars would significantly reduce the costs of the people. I have been thinking a lot about delivering electric cars from China, but I’m afraid Kyrgyzstan is not ready for that. Or I may be wrong. Despite the zero rates, electric cars remain a niche product in Kyrgyzstan. Their average price varies from 15 to 50 thousand dollars. But the Kyrgyz consumers worry not only about high price, but also about convenience. Or, more precisely, lack of convenience. 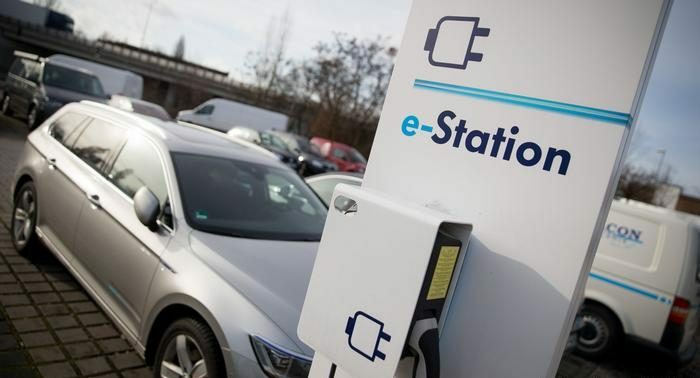 According to a car enthusiast, Almaz Kasenov, the first thing he would pay attention to when buying an electric car would be the availability of charging stations en-route in case of long-distance travels. — In Bishkek, I often see that small electric cars deliver food and other goods. Such single or two-seat cars charge fast from the outlet and can travel 50-60 kilometres. But what to do if it’s a long-distance travel? You need to calculate the time of the travel, mileage, charging stations, not to be left on the side of the road. Not to speak of the car repairs in case of malfunction. No car mechanic will want to repair my car. Kyrgyzstan has no necessary spare parts, and you’ll have to wait one month minimum to get one part. By contrast, I can buy a “prestigious” petrol car for the same money. According to economist Marat Musuraliev, the problems can arise with the key element of an electric car – a lithium-ion battery. Winter temperatures in Kyrgyzstan is below zero. Lithium-ion batteries lose all of their charge if the temperature is above zero. 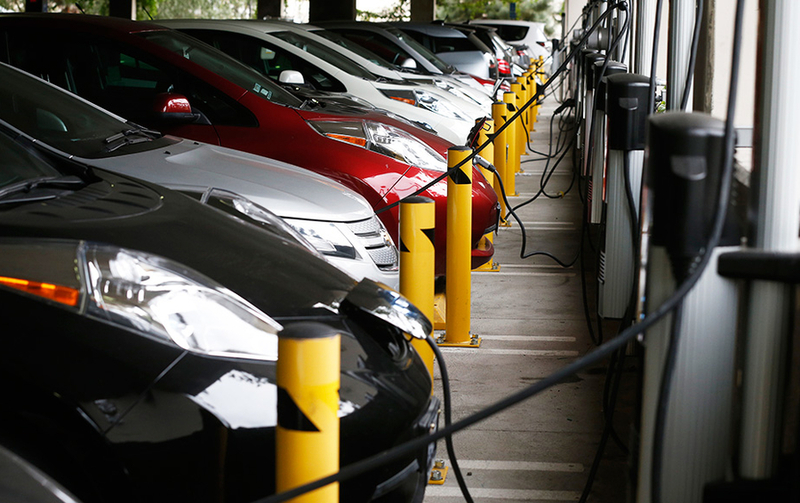 So, electric cars will need to spend 20-25 per cent of energy only to warm itself up. Moreover, the problem is the disposal of such batteries. According to the State Registration Service, today Kyrgyzstan has only 24 electric cars. The majority of cars are in Bishkek – 19. Three cars are in Osh oblast, and two cars are in Chui oblast. Kazakstan also has low numbers: only 19 new cars in the first six months of 2017. The number was as high as 200 cars in 2018. In Belarus, the number is 38. In Russia, 2.5 thousand electric cars have been registered, which can be explained largely by certain allowances – interest rate subsidies on loans, parking preferences, right of free access to special lanes and toll motorways. – When I bought the car, it cost 16 thousand dollars. I could have bought a good Lexus for this price. Electric car cost us a bit more. In terms of fuel costs, they are absolutely negligible. A battery is charging via a special cord from a standard 220V outlet. At the end of the month, we pay only electricity bills and the car doesn’t cost us a lot. It takes four hours to charge the car and it can travel 100-120 kilometres after the charging depending on your driving style. It takes various amount of energy to drive up and down. Among disadvantages I would like to note that you should take into account the energy required to warm the car up in wintertime. You need to calculate your every move. I always leave 30 per cent of charge to be able to get home at the end of a day. It’s a real boon for those living in town. 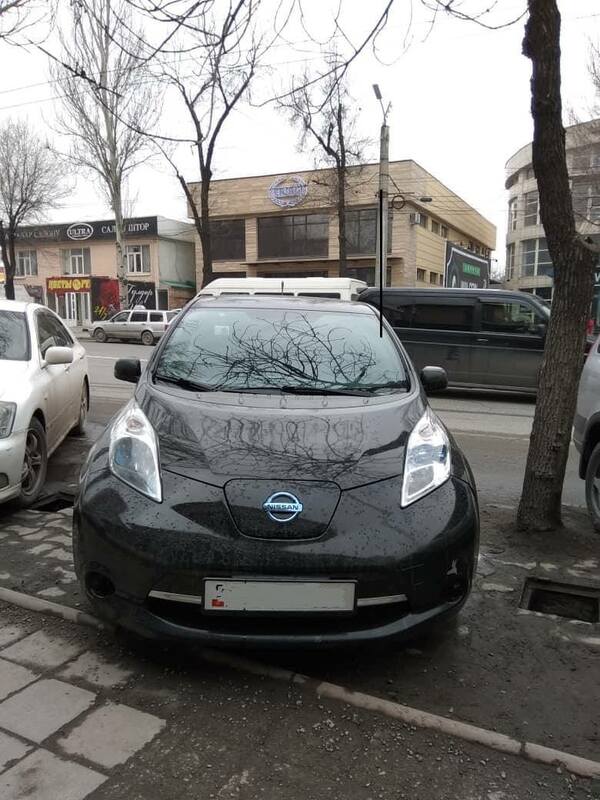 However, those who live in the countryside will find it inconvenient to have an electric car because Bishkek doesn’t have facilities for cars with electric motors. And this is an important aspect for electric car drivers. Since 2014, Kyrgyzstan has been a republic experiencing shortages of electricity. But the problem is not with the infrastructure only. The 24 electric cars available in Kyrgyzstan are not significant for power grids. However, if they increase in number, the national power distribution network will fail, Marat Musuraliev said. — We are not an energy-surplus state that can afford electric vehicles. Since 2014, Kyrgyzstan has been a republic experiencing shortages of electricity. It means that we have to import electricity from neighbouring states. At times, we can do without external assistance and even export [electricity], but these are short times. We don’t have equivalents to petrol stations, where we could charge an electric car. We can do it at home by charging them at night. However, the power line might withstand a small number of users, but it will fail if there are too many users. We should take into account the load of our power lines, not to speak of their aging. Separate materials and electric accessories for vehicles with electric motors are frequently sold. They can be adapted here. Moreover, we can open charging stations for electric batteries on the basis of regular petrol stations. I don’t see any serious obstacles. Back in the middle of 2018, during the visit of president Sooronbai Zheenbekov to China, he raised the issue of “green” economy promotion. The initiative implied the opening of an electric vehicle plant in Kyrgyzstan. 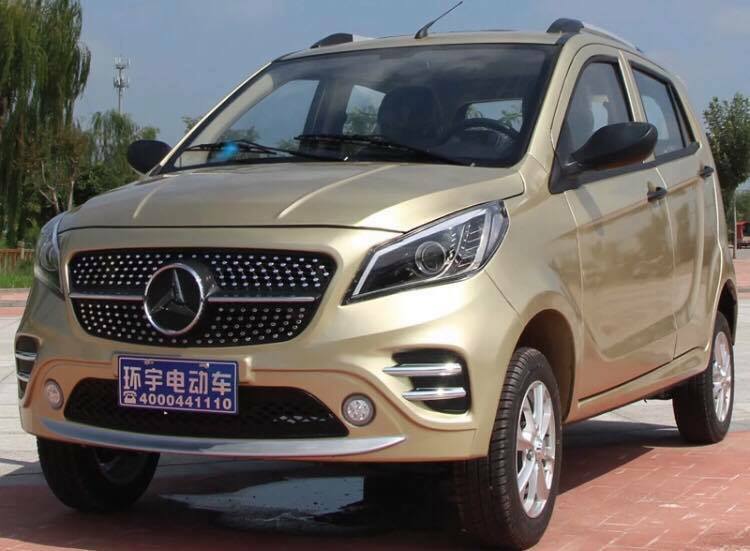 “Today we are starting the negotiations with the China’s Beijing Automotive Group Co., Ltd (BAIC Group) in this regard,” said the head of State Agency for Investment Promotion and Protection, Shumkarbek Adylbek uulu, the same day. However, according to Nuradil Bayasov, head of investment project promotion department of the State Agency, this project has been suspended so far. The reason is in the inactivity of Chinese partners.